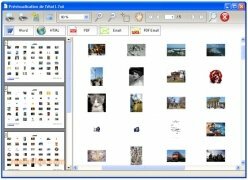 In the file Explorer included in Windows XP, from the "View" menu, it is possible to choose how to view folders and files: "Icons", "List", "Details", "Thumbnail",... This last option is very useful to see photos at a glance or to find a specific image among a collection of them. The inconvenience of the Windows "Thumbnail" option is that it doesn't allow to store the generated preview in any format. So if you want to obtain a thumbnail catalog from a collection of photos or images, you can use an application like CataThumbs. 1. Indicate in which folders that images can be found in the "Directories" tab. 2. Click the "Find" option for the "Pictures" thumbs to appear. 3. Choose the amount of images per page ("Type" option) and press "Print" to see the result. 4. Print or save the catalogue in one of the available formats. You will be able to configure the printing options in the "Settings". 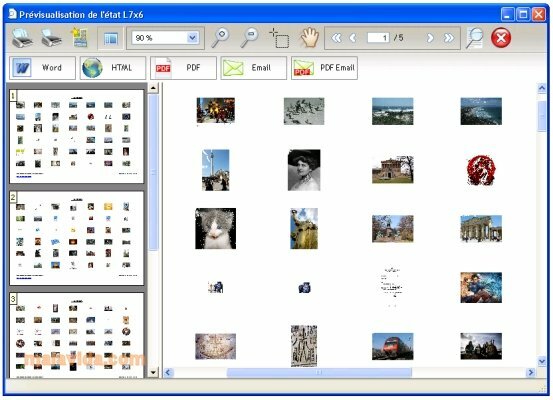 - Automatic creation of image catalogues. 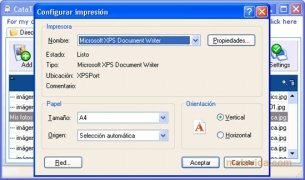 - Support for the generation of documents in one of the following formats: PDF, HTML and RTF. 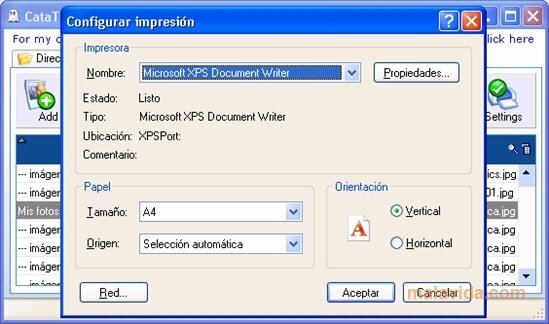 - Shortcut to send the result by email. It only works on Windows XP or earlier systems. The translation into English isn't 100% complete.